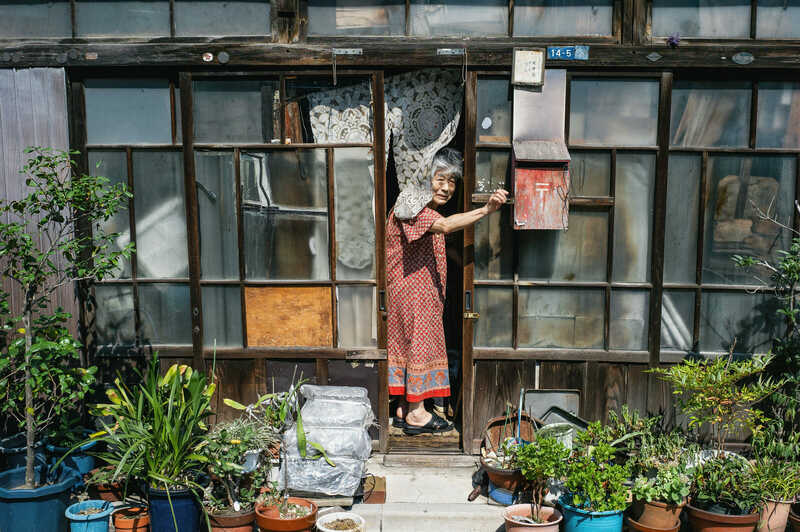 A little over four years ago I took this photo of an old lady stood at the door of her wonderfully ramshackle Tokyo home. It has been a favourite of mine ever since, and it’s an image that has appeared in and on numerous publications and websites. Of course selling photos is always nice, but that’s not why I like it so much. 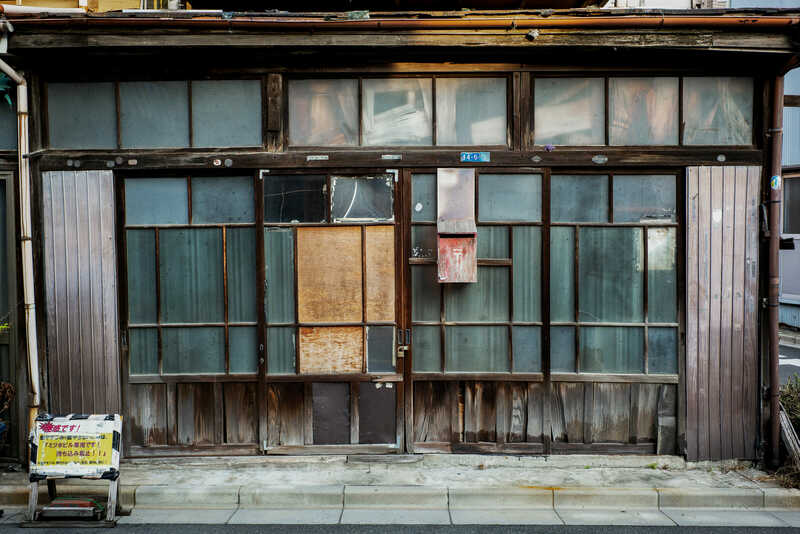 The reason, I think, is because it encompasses everything I find fascinating about old Tokyo — pretty much condensing all its people and places into one single image. On a Photowalk Tour last weekend, however, I passed by for the first time in a while. And there, on the corner, was the same house. But now it’s no longer a home — just a stripped bare empty building. A sight that needless to say was terribly sad to say the least. The taped cracked window gave way to plywood. The mailbox is still there. She had trouble keeping up her home but she took pride in her plants. She did. The disappearance of those plants makes a huge difference. A lack of life I guess. Just like her absence…. Same here. It was a terribly sad moment when it dawned on me which house it was. It didn’t actually register for the first few seconds. This is awesome documentary work! The photos make me sad but I appreciate you posting it. Thank you. And you are more than welcome. On a personal level, I still recollect the simple the joy I felt after getting that first shot. A fondly remembered moment that will stay with me ’til my time passes. Very poignant Lee – thanks for sharing this. My pleasure. More than happy to share it. I’m right along with you about the sentiments on both photos! Very wonderful and very sad. I am also curious about what looks like a computer in the center window on the top row. Is it a reflection? It would be a very odd place and position to have an actual computer. Not sure what it is to be honest. Looked through one of the windows and the house has been emptied. So I can only assume it’s paper, or perhaps some kind of make do insulation or something. The sign outside on the left wasn’t very readable when I zoomed in on my cellphone, but it seems the building is now the property of a developer? This makes me very sad. I hope she had a good life. I hope she had loved ones with her at the end. Yes, me too. Almost certain we’ll never know, so we just have to hope that was the case. I share your feelings and hopes about this. Thank you.. The original photo is one I’m very proud of. Plus as sad as the second photo is, it’s still good to have documented it before the building is very likely torn down. Not the full story of course, but certainly the outlines of it.